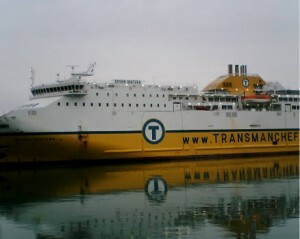 Go green, go chiconomy class, save a fortune and enjoy the ferry from England to France. By Holiday Goddess Editors. Our first tip is to go on a weekday, not a weekend or public holiday. Our second tip is to squeeze into the calmest, warmest off-peak days you can find. But if you can manage all this, then walking onto a ferry from England and walking off in France is a wonderful experience. It’s also ridiculously chiconomical. Fares begin at £19 and if you pick up a newspaper offer or special promotion, you can sail for the price of lunch. Connect to your ferry stop by train from London, if that’s your hub. But if you’re on the UK coast anyway, remember you’re halfway to Europe anyway. The best deals are for you and your friends en masse. Pack out the car, split the cost. And remember, the luggage allowances are incredibly generous compared to those parsimonious deals with budget airlines. There may be parties of schoolchildren on your boat. It may feel a little odd to realise you’re travelling sans flight attendants. But seriously, if you haven’t tried the ferries from England to Ireland and Europe, you’re in for an unforgettable experience. The mini cruises to Europe are also worth a look.